Lee Miller was born in Poughkeepsie, New York in 1907. At the age of eighteen Miller went to Paris to study lighting, costume and theatre design and came back to New York in 1926 to continue studying. She was “discovered" when Condé Nast saved her from being run over in the street and offered her a job modeling for Vogue magazine. Through her association with Vogue Miller was photographed by Edward Steichen, Nickolas Muray and Arnold Genthe; all famous fashion photographers of the time. Lee Miller did not just model; she wanted to learn about photography and through these men she learned how to take pictures. In 1929, after returning to Europe to study, she stayed in Paris to learn from Man Ray. Within a year she had learned everything she could about photography and set up her own studio. 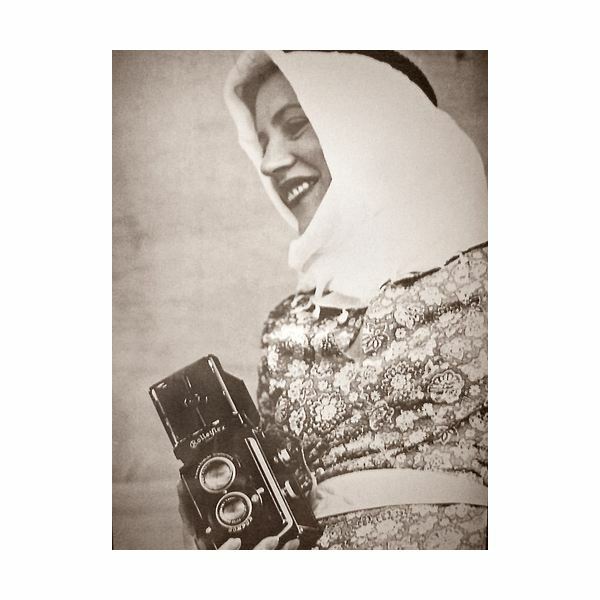 Lee Miller's photography managed to secure assignments from famous fashion designers including Chanel. Miller moved back to New York in 1932 and worked as a freelance photographer and in 1934 married Aziz Eloui Bey. After her marriage she moved to Cairo and spent a few years in the Egyptian desert taking photographs. Miller returned to Paris in 1937, met her second husband, Roland Penrose, and also renewed her friendships with artists and photographers such as Man Ray, Jean Cocteau, Picasso and Max Ernst. By 1942, with the Second World War ravaging Europe, Miller applied to be a war correspondent with the United States army. This is where Lee Miller’s documentary photography really began in earnest. Miller photographed women working during the war in Britain and photographed the effects of the Blitz in London. At this time Miller was still taking portraits for Vogue but she also covered the war in Europe to show the allies advancing. In 1945 she became a correspondent for the United States air force and this allowed her to have access to Nazi war crimes in Buchenwald and Dachau. After the war Miller continued to document the after effects of war throughout Europe. Her post war photography captured the horrors of the concentration camps and the destruction that had ravaged Europe. In 1949 Miller went to live in East Sussex, England with Roland Penrose. Miller only made photographic portraits from this time until her death in 1977. The book “Grim Glory" documented the time between 1939 and 1944 that Lee Miller spent as a documentary photographer in London during the Blitz. A powerful image from this period is a picture of Henry Moore sketching in Holburn Underground Station. During the Blitz the underground stations were used as shelters from the bombs and in the images people are sleeping on the platform and the stairs. The station lights illuminate Moore’s face concentrating on the sleeping residents of London. Miller took more images of women at this time who were working on the land, in factories and as machine operators. In one image Miller uses a mirror to light up the faces of female searchlight operators. The women stand in a row in front of a huge searchlight used to spot German airplanes. They are dressed in thick woolen coats, large boots and hard hats. The woman in the middle of the image has a pair of binoculars hanging around her neck. As soon as this image was taken they all came under fire from the air. In the image ‘Airborne’ Miller captures a female radio operator inside the cockpit of an allied airplane. The images of women show how important women were during the war on the home front and highlight the dangerous jobs that they tackled. Lee Miller’s documentary photography was published in American and British Vogue Magazine and Life magazine. As a war correspondent, Lee Miller had access to soldiers fighting in the front line and was present for the liberation of Buchenwald and Dachau. 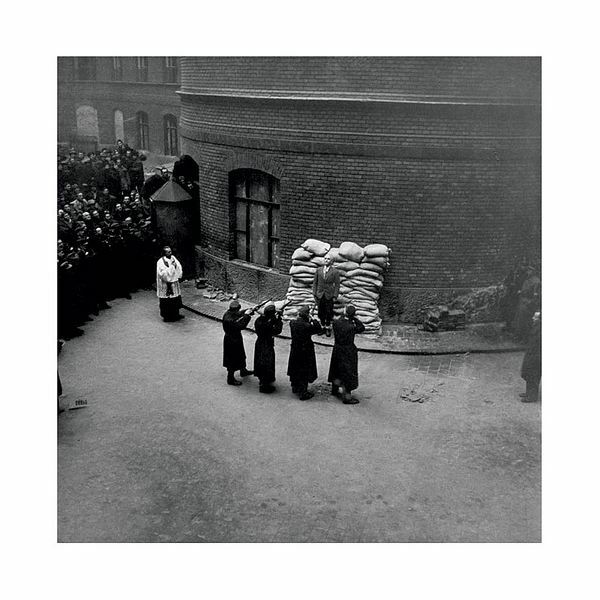 It was these images of the concentration camps in the aftermath of the war that really give a sense of her sensitivity to her subject as a documentary photographer. Images that can be seen in the book “The Lives of Lee Miller", such as “Dead Solider" (which shows an ordinary German solider lying in a shallow grave with artery forceps still attached to his shattered wrists) and “Dachau" (with the horrifying image of emancipated men piled on top of one another) capture the true horror of this war. This combination of documentary and post-mortem photography has a powerful effect on the viewer. Miller did not just take pictures of horror but also images that reflect her surrealist background. The “Statues Covered with Camouflage Nets" have an otherworldly feel; gentle and yet strange objects that cover a landscape. A photograph of “The Marionettes of Hermann Aicher" shows the marionettes and their masters; there is strangeness to the image as the real people look more like marionettes. The marionettes just look like a family in an ordinary sitting room seen from a window outside. One of the most interesting images is that of “Hitler’s Bath." Miller took this immediately after going to Dachau. She visited Hitler’s house in Munich on the same day; Dave Scherman took a photograph of her washing in the bathtub. This was the first bath Miller had enjoyed for weeks; she also lay on the bed where Hitler and Eva Braun had slept. She said of the experience in “The Lives of Lee Miller" that; “It was comfortable and macabre to doze on the pillow of a girl and a man who were dead, and be glad they were dead if it were true."